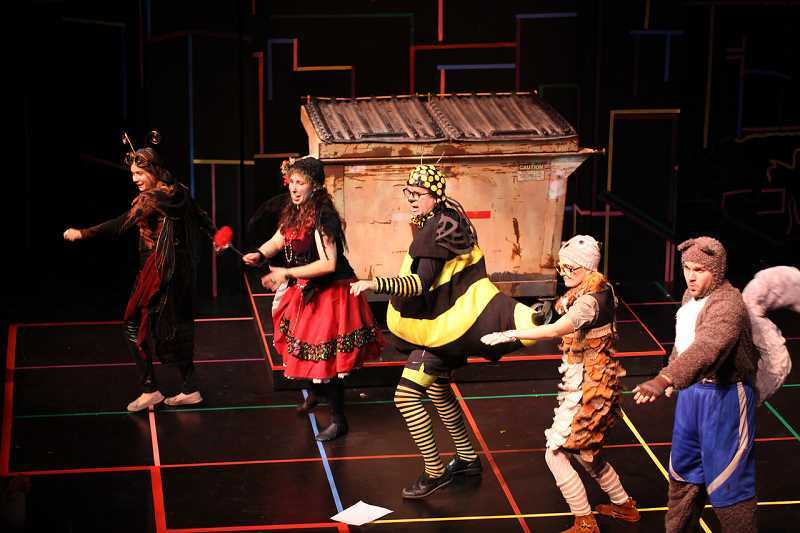 The interactive show "Wing It" will soon return to Clackamas Repertory Theatre. The event, designed for children, features "the cast (twinkling) their toes in this dance-filled episode." Audience members are invited to participate in the fun. The show is scheduled for 10:30 a.m. Saturday, Feb. 10, in the Osterman Theatre at Clackamas Community College's Oregon City campus, 19600 Molalla Ave. The "Wing It" cast includes Travis Nodurft as Buzz Buzz, Benjy Rickard as Baldi, Heather Ovalle as Rita, James Sharinghousen as Jazz, Jennifer Whitten as Luna and Chris Wilcox as The Captain. Guest artist Chris Barrett, a teacher at Ogden Middle School in Oregon City, is also featured. Additional performances of "Wing It" include Saturday, April 21, and Saturday, June 16. Tickets for the show are $5 and can be purchased at the door. For more information, visit www.clackamasrep.org.